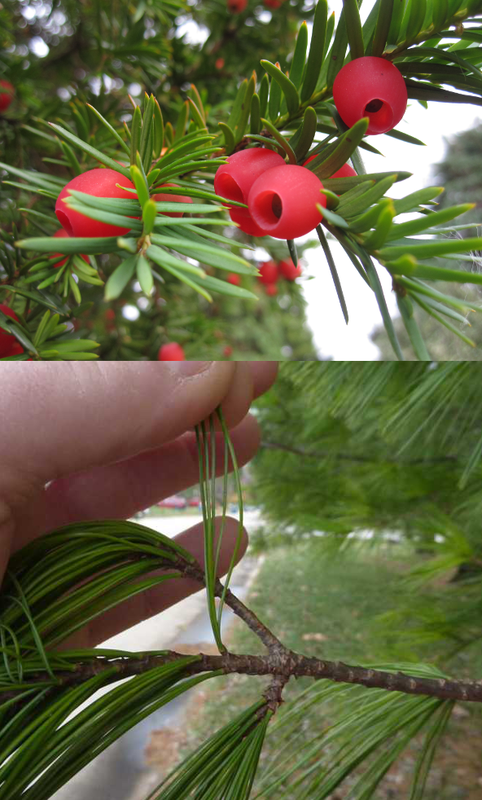 The yew tree (top) looks like a pine, but isn’t, and is toxic — beware its flat needles. The eastern white pine (bottom) is common, readily identifiable by the fact its needles grow in clusters of five, and makes for a tasty tea. 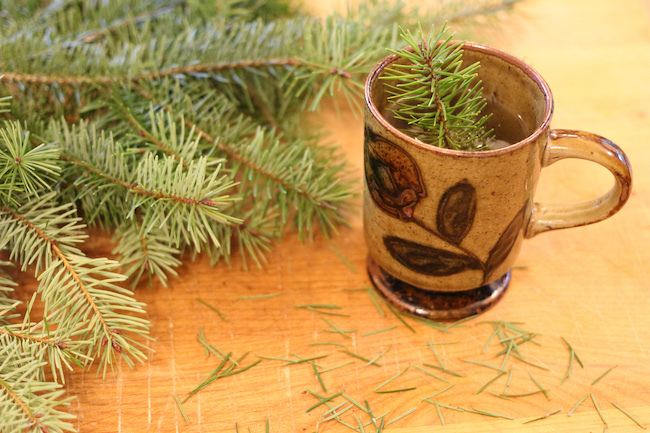 Thirty-six species of pine are common in North America, though not all are great candidates for pine needle tea. Some species of pine like the Ponderosa pine, as well as trees that look like pines, but actually aren’t, like the yew species and the Norfolk Island pine, are actually toxic to drink. But many others, including eastern white pine and noble fir (actually in the pine family) are delicious and safe to drink. Make sure to do your homework on identifying the type of pine you’re harvesting before you start enjoying your tea! The type of needles you pick for your tea depends on your intention for drinking. Older needles have higher concentrations of vitamin C, but taste more bitter. Younger needles will make a sweeter, more pleasant tea for simple drinking. You can differentiate the age of needles by their color and placement on the branch. Younger needles are typically brighter green in color, and are found at the very tips of branches. Older needles are darker and are found at the base of branches. Gather a nice fresh branch, rinse it off to get rid of any bugs or dirt, and then pick the needles clean off the branch. 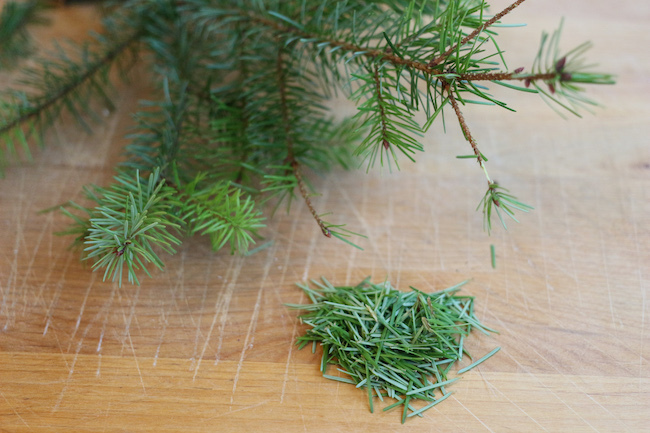 If you’re working with long needles, like those of an eastern white pine, and will be steeping them in a small pot or mug, chop them up into smaller pieces. There’s no need to chop up smaller needles. Bring three cups of water to a simmer, turn off or remove from heat (important), and add about half a cup of fresh needles to the water. Never boil your pine needle tea. Boiling tends to break down vitamin C and release terpenes that make the tea more bitter. If you want a stronger tea, simply add more needles rather than increasing the heat. 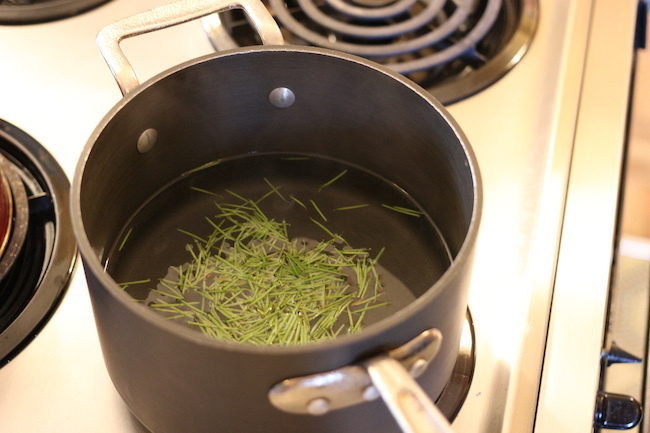 Let your pine needle tea steep for about 20 minutes, or until the needles sink to the bottom of your pot or cup. At this point, you can strain the needles out or leave them in while you drink. If you plan on storing your tea for later, remove the needles to prevent over-steeping. 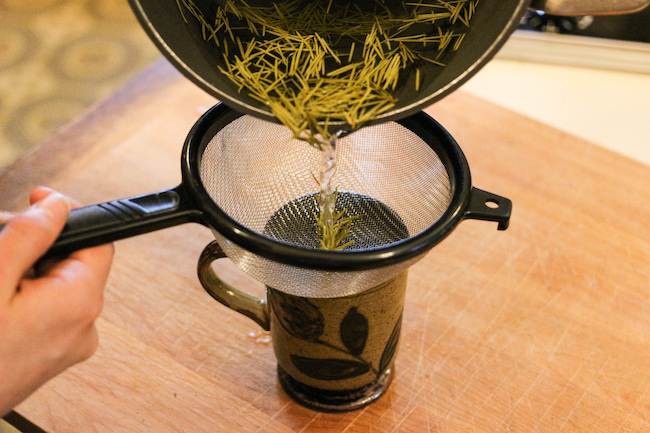 Another method is to put your pine needles in a tea strainer, place the strainer into a mug, and pour hot water over it. Let steep and then remove the strainer and enjoy. Fresh pine needle tea, with a little extra for garnish. Your finished tea will taste citrusy, a little resiny, and pretty pleasant. Enjoy it straight if you’re in the wilds, or add a squeeze of lemon and/or a bit of honey to enhance the taste at home. 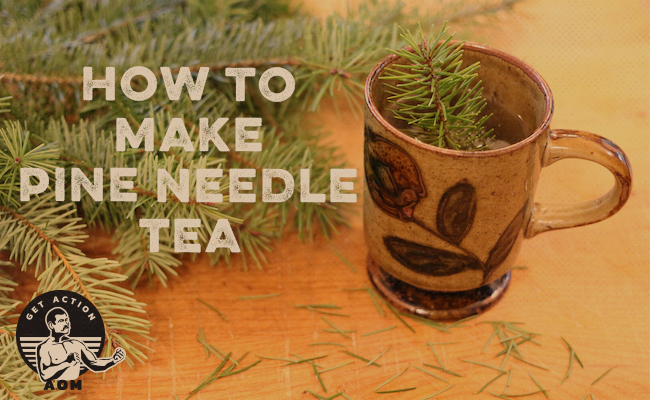 The post How to Make Pine Needle Tea appeared first on The Art of Manliness.